Locational Advantage : Eastern International Hotel is located close to the central business and industrial districts. Eastern International Hotel is beautifully located in a posh area of the city. 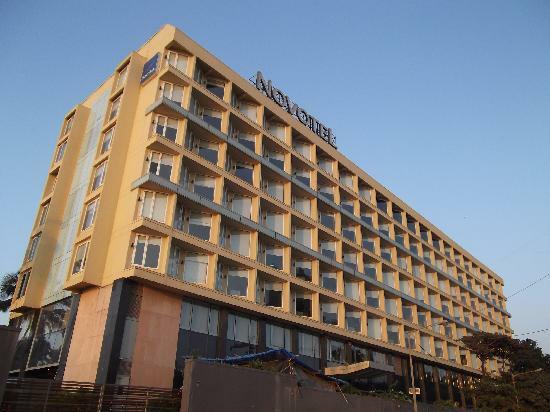 It is conveniently located from Vile Parle, Khar, Santa Cruz, Andheri and other such places of importance. The hotel provides excellent recreational as well as corporate facilities to the clienteles to keep them at ease. It offers complete privacy and peaceful ambience. Its fantastic location and personalized services provide treasured and everlasting moments to its guests. Due to all these features, Eastern International Hotel has created a place for itself among both the leisure as well as corporate travelers. The hotel offers comfortable accommodation in its 192 Guest Rooms. Each room is outfitted with a wide range of facilities. Bageecha: A multi-cuisine restaurant that serves flavorsome food. Sampan: A fine restaurant that offers delicious Chinese food. The Sidewalk: A lounge where a wide range of exotic drinks are served. Airlines Counter, Bar Service, Car Rental Service, Credit Cards Accepted, Doctor on Request, Games Room, 24 hrs H/C running water, Mini Bar, Car Parking, Restaurant, Safe Deposit with Cashier, Shopping Walkway, Tea/Coffee Maker, Personal man-servant, Wheelchair on Demand, Wake up alarm service, Travel Desk Service, Telephone, Room Service, Railway Station Pick/Drop, Postal Services, News Stand, Jungle Trekking, Jacuzzi Hot Tub, Internet Connection, Hair Dryer, Reception, Dance Floor, Convention Centre, Coffee Shop, Business Centre, Massage Parlor, Barber Shop, Airport Pick/Drop, Baby Sitting, Banquet Hall, Computer on Rent, Courier Service, Fax, Gym, Laundry, Money Exchange Facility, Newspaper in Room, Power Backup, Mini Fridge, Safe Vault, Secretarial Assistance, Spa, Outdoor Swimming Pool, Satellite TV.